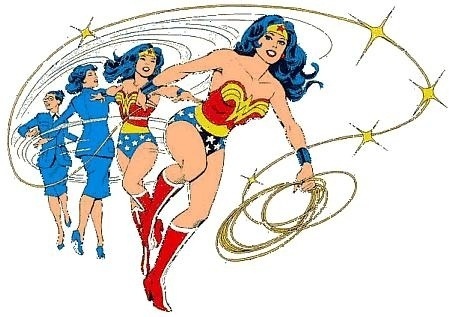 Triple Wonder Woman. Changing Into Wonder Woman.. Wallpaper and background images in the 원더우먼 club tagged: wonder woman comics animation.. This 원더우먼 photo might contain 애니메이션, 만화, and 만화책.